Rapunzel sits on the sixteenth floor of an inner city block, bored, dreaming and looking out at the rain. No one can rouse her from her apathy, not the milkman or the postman or the baker or her aunt – or even the prince. But when at last a letter is delivered, it contains news that has Rapunzel on her feet again. She has a new job at the library! And suddenly her life is busy, sparkling, exciting and stimulating. 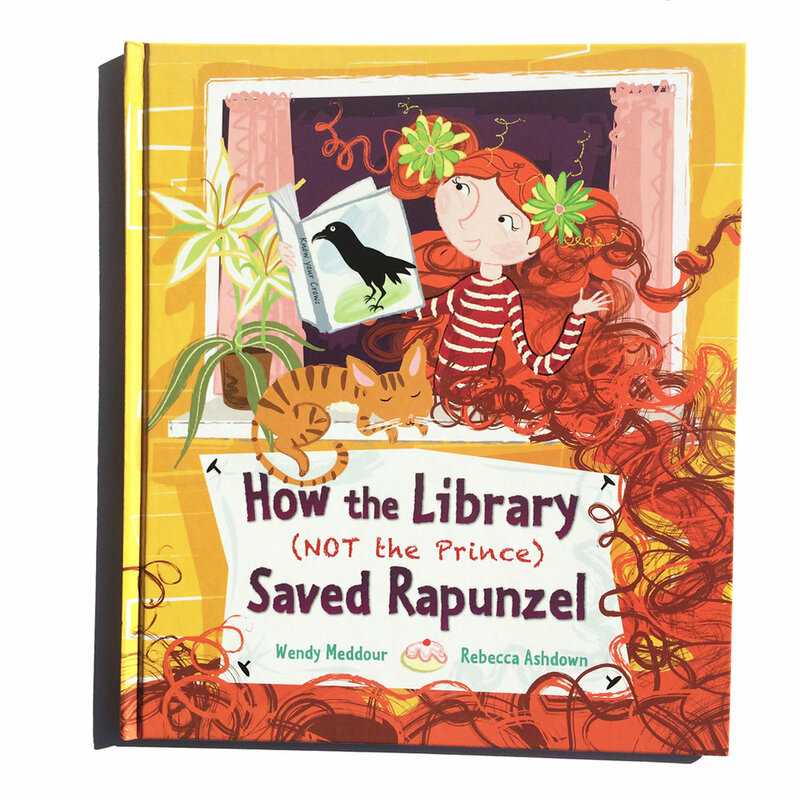 Bold illustrations that are full of funny details and mischievous touches such as the crow tugging at a tress of Rapunzel’s wayward auburn hair, not to mention cats, dogs and birds galore.